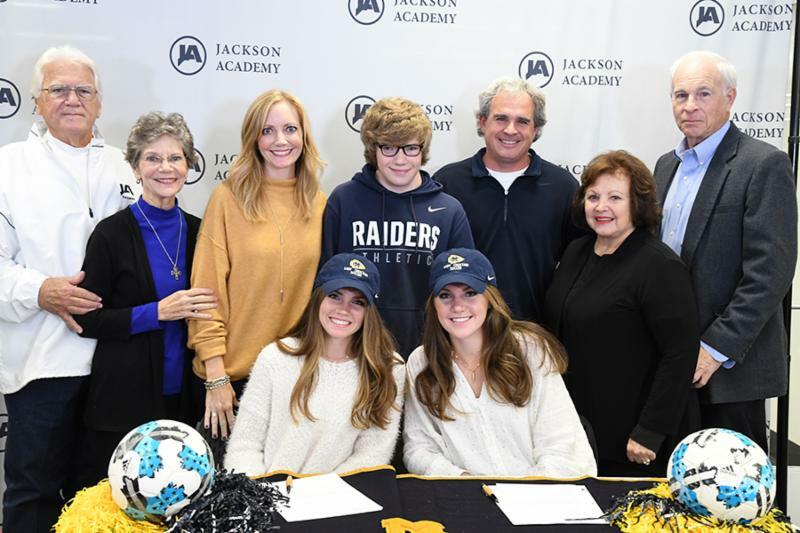 Megan Lacey and Peyton Norwood signed to play college sports on Thursday, April 11. Megan will compete as a part of Bates College’s track and field team, where she will double-major in biology and politics. Peyton will play golf for Mississippi Gulf Coast Community College studying on a pre-law track. 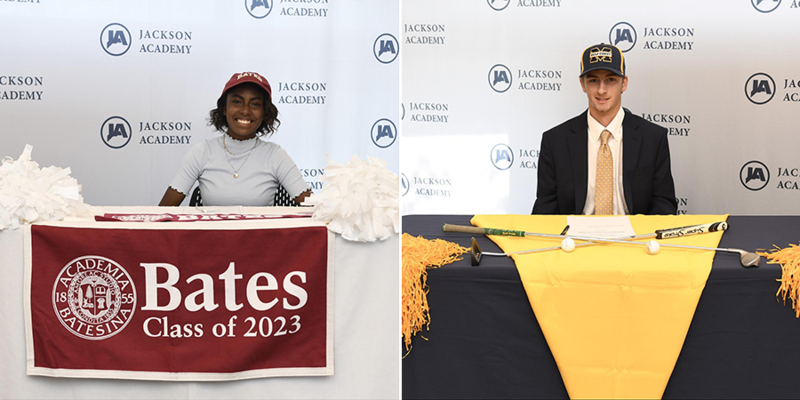 Peyton and Megan were JA’s eighth and ninth students to sign for college athletics this year. 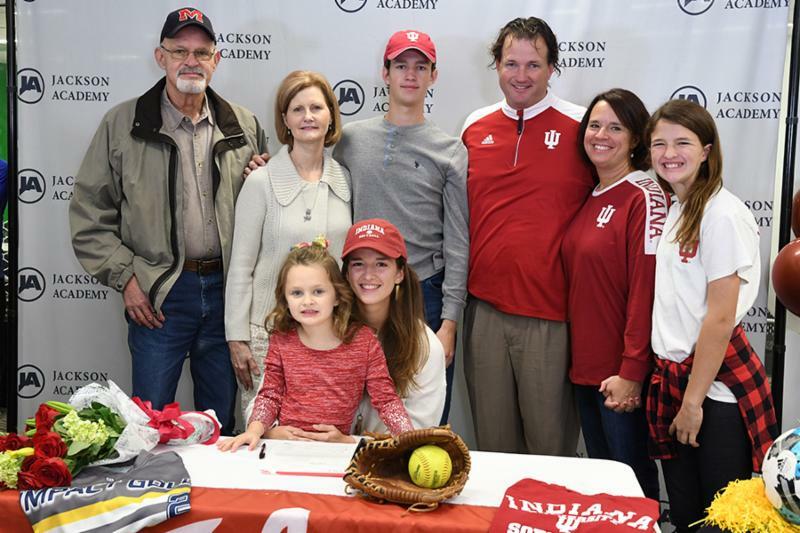 Congratulations, Peyton and Megan! 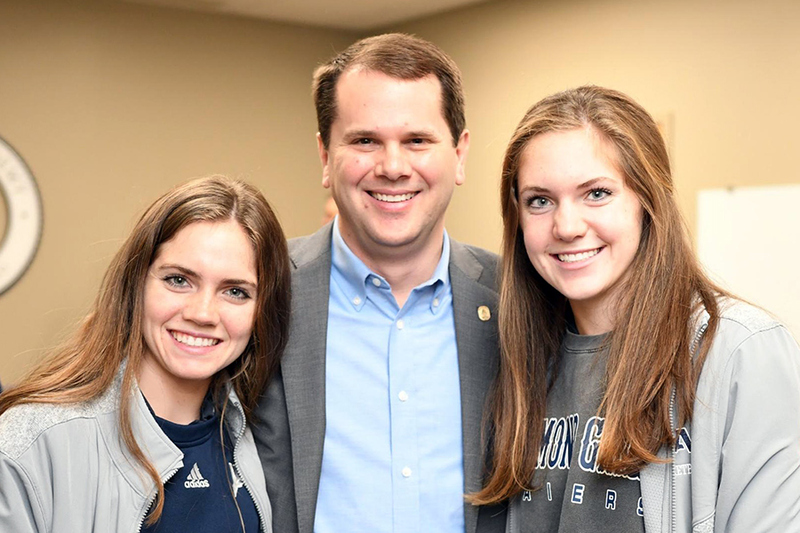 Mississippi College has selected Avery and Erin Hederman as members of the college’s first Honors College class beginning this fall. They will be among 14 students who will work with MC President Dr. Blake Thompson to build the program at MC. The inaugural Honors College members will weigh in on curriculum, student selection process, and honors housing, for example, and will help decide what is best for the MC program. The students will travel to visit other honors colleges as they work to develop the program. It was through the college’s scholarship process that the girls were tapped as potential members of the budding Honors College concept. Students who score 29 and above on the ACT are invited by MC to participate in Presidential Scholarship interviews. The Presidential Scholarship process requires an essay, introduction video submission, resume, transcript, and interview weekend, explained Avery. The college leaders invited Avery and Erin to be a part of the inaugural class of Honor Students. “We will be able to travel abroad as an Honors College cohort and have expansive experiential learning opportunities within our field of study. We will have many missions opportunities as well. The Honors College will provide a way for us to represent the university in recruitment and donor functions, and we will help grow this program through these,” said Erin. Avery and Erin were invited to Dr. Thompson’s inauguration March 29. The MC Honors College was announced, and the Honors College members were introduced during the ceremony. Get ready for Color Me Raider! This year’s event will be held on April 9, 2019. You may only register ONE time per email address so please register all attendees in the same registration. T-shirts are included in the registration fee and will not be sold separately. T-shirts are only guaranteed when registration is completed by March 19, 2019. It’s On, Rain or Shine… No Refunds! The JA Athletic Booster Club is accepting online registration and payment only this year! The early bird registration fee is $30 per person if registered by Tuesday, March 19, 2019. Registration fees will go up to $40 per person starting Wednesday, March 20, 2019. Registration includes 5K (or 1-mile fun run), t-shirt (white t-shirt with Color Me Raider 2019 design), admission to the Kid’s Fun Zone. Absolutely no golf carts, bikes or motorized vehicles are allowed on the course unless specifically marked with official volunteer signage. Law enforcement and race volunteers will be enforcing this rule. Your cooperation is required for everyone’s safety. 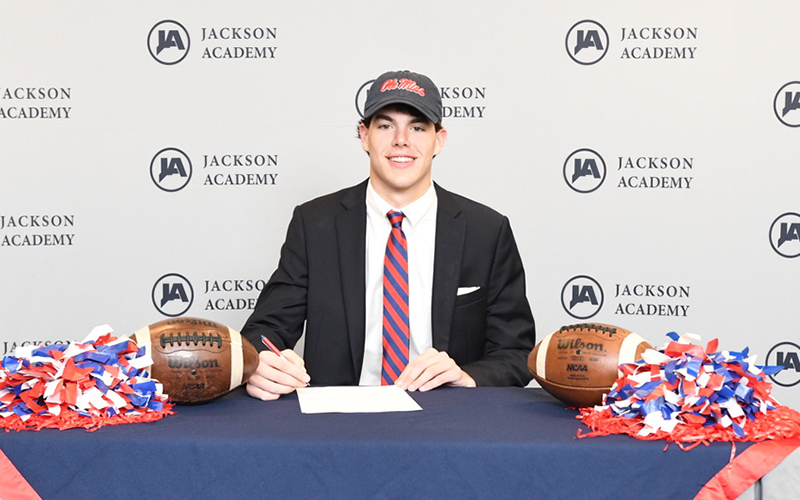 Senior Kinkead Dent signed to play football at the University of Mississippi on Wednesday, December 19 at 11 a.m. Joining Dent for the event were his family, coaches, teammates, faculty, fellow students, and friends. With 6,740 total career yards, 62 touchdowns, and a 23-16 record, Dent’s leadership and tenacity as a player have been proven throughout his four years as a varsity starter and as JA’s team captain during the 2018-2019 season. 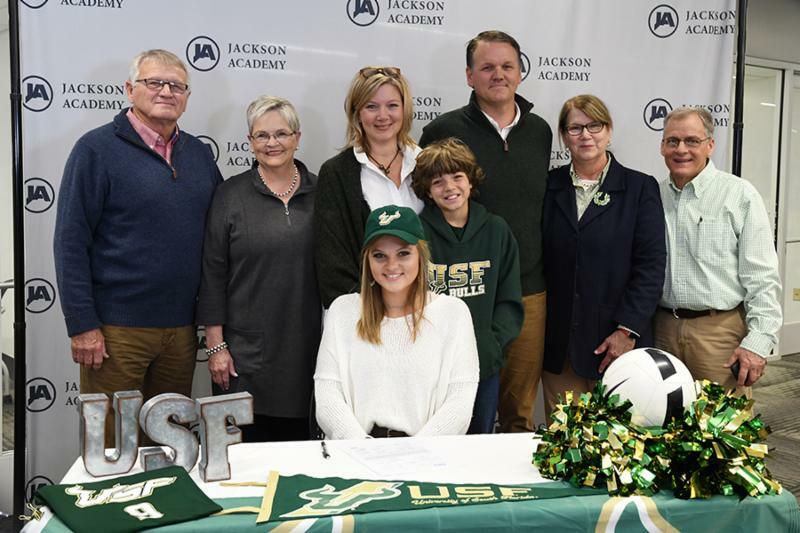 Congratulations, Kinkead! 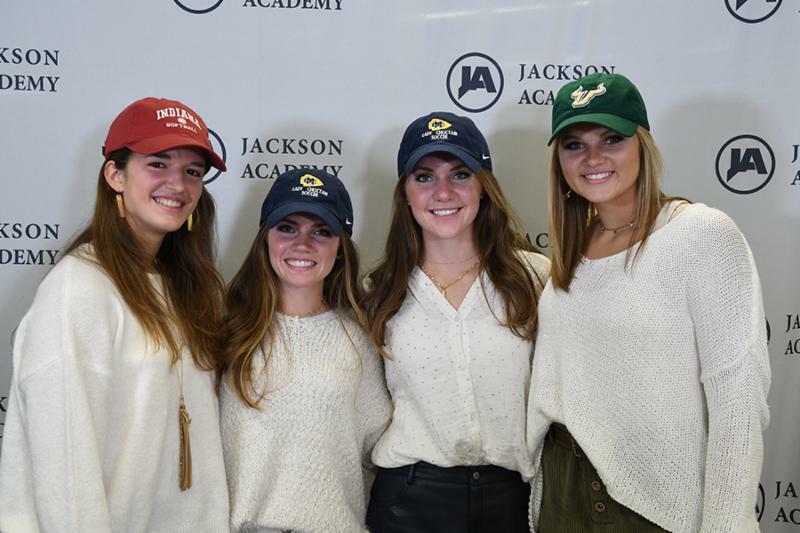 Jackson Academy seniors Avery Hederman and Erin Hederman of Jackson, Darby Douglas of Madison, and Columbia Holeman of Morton signed to play collegiate sports during a ceremony this month. On hand to congratulate these outstanding Lady Raiders were their families, fellow students, faculty and staff, and Alpha & Omega Buddies from kindergarten. Winner of 2017 Presidents Day Tournament (Arizona) with Rush Select National Team.